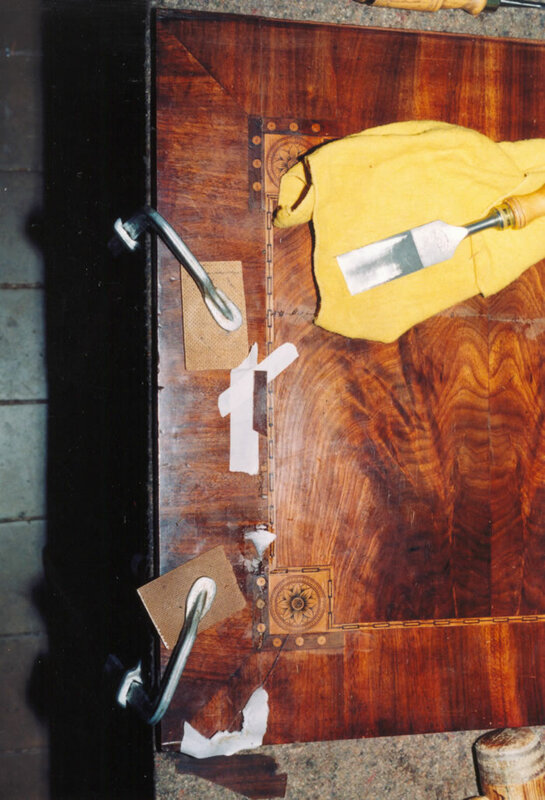 Making a detailed plan before restoring a piece of furniture is not a luxury. The need of carefully planning a restoration has proven itself to me through years of experience. The technical part of restoring is a necessity and prolongs the lifespan. The finishing however is often a difficult matter. How to deal with this? Personally I prefer to keep the piece of furniture as close to the original as possible, beauty comes with the years and it is best to keep it that way. Neglect can however be so severe that a more rigorous treatment is necessary. My studio is not only home to furniture restoration. Mirror and picture frames are welcome as well. Sculpture restoration and gild work are regular activities in my studio also. When something is worth restoring to you, naturally you want it treated with great care. You are always free to call me to make an action plan (without engagement). Veneer restorations require a lot of time, only patience and the right choice of veneer combined can result in a success. I collect old veneer, because it gives the most optimal result, the grain and colour of the restored object are most emphasized with this technique. The use of animal glue (skin or bone glue) is a tradition many centuries old. I use this type of glue because it binds well to the glue already present in the furniture and because it is reversible. Surface treatments are the defining factor for the appearance of a piece of furniture. Colouring and polishing according to tradition are a processes of patience, the result however is a delight and, in contrast to modern varnish, only grows more beautiful with time. 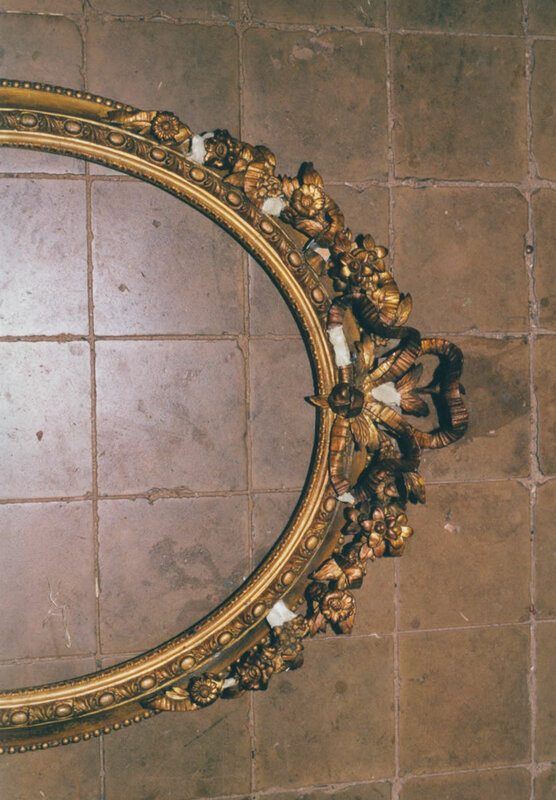 The restoration and gilding of mirror and picture frames is a speciality, because after each new gilding the old dignity of the piece has to be restored. The process of years of discolouration and patina has to be completed in just a couple of hours. For Dutch restorers there is an association. I am a member of it. Every member has to meet certain qualifications and sign an ethic code. 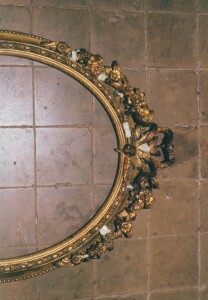 For more information about the restorers association visit: www.restaurator.nl. Furniture restoration: restoration of cracks and unwilling drawers in an 18th century cabinet. Furniture from the restoration studio for sale in web shop. 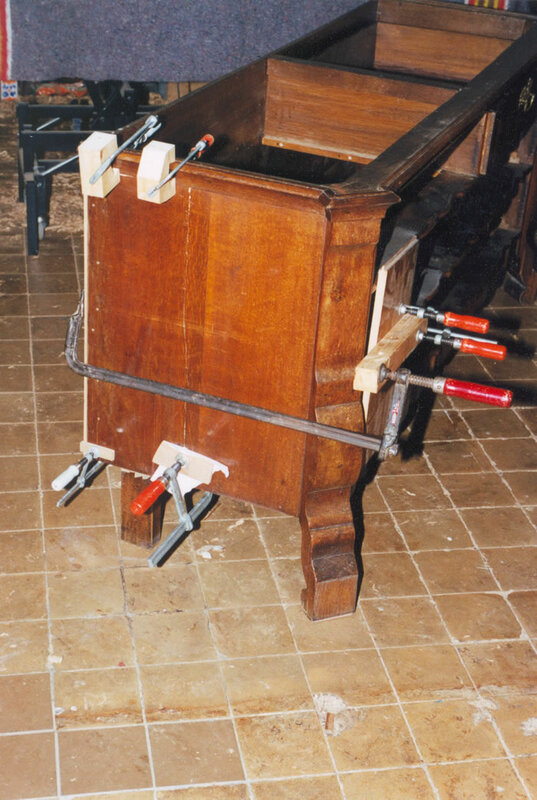 In principle all that is made of wood can be repaired. When a restoring connection has been successfully made and is glued together in the right way, the restored object can have its life span prolonged with years. This goes for every possible connection such as in chairs, cupboards, closets and table legs, but also in sculptures and frameworks. Rickety chairs, wobbly tables, unwilling drawers, protesting closet doors, broken frames, blistering veneer and incomplete sculptures, a suiting reparation can always be found. For a price indication in case of furniture restoration I will visit you at home. With smaller objects you are welcome to visit my studio. Price indications are without engagement.